From The Dot to The Word Collector, educators across the country have activated books by Peter H. and Paul A. Reynolds. At the Reynolds Center we are cheering you on and are excited to share FREE resources for you to use in your classroom. Collecting all the books by Peter H. Reynolds? Grab your checklist. About: Art class is over, but Vashti is sitting glued to her chair in front of a blank piece of paper. The words of her teacher are a gentle invitation to express herself. But Vashti can’t draw - she’s no artist. To prove her point, Vashti jabs at a blank sheet of paper to make an unremarkable and angry mark. "There!" she says. 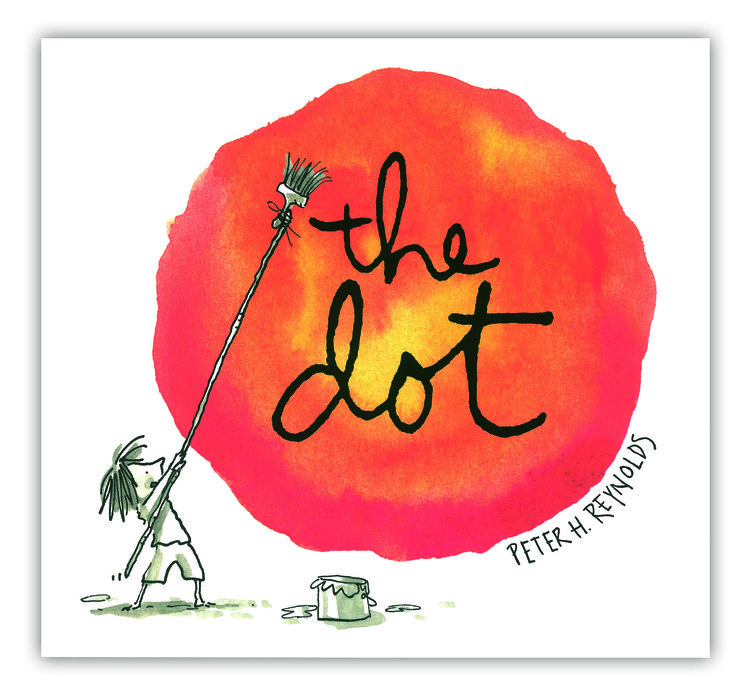 About International Dot Day: International Dot Day, a global celebration of creativity, courage and collaboration, began when teacher Terry Shay introduced his classroom to Peter H. Reynolds’ book The Dot on September 15, 2009. Each year on International Dot Day – with the help of people just like you –the inspiration continues. Join the Dot Club here! About: Drawing is what Ramon does. It’s what makes him happy. But in one split second, all that changes. A single reckless remark by Ramon's older brother, Leon, turns Ramon's carefree sketches into joyless struggles. Luckily for Ramon, though, his little sister, Marisol, sees the world differently. She opens his eyes to something a lot more valuable than getting things just "right." Combining the spareness of fable with the potency of parable, Peter Reynolds shines a bright beam of light on the need to kindle and tend our creative flames with care. About: Marisol loves to paint. So when her teacher asks her to help make a mural for the school library, she can’t wait to begin! But how can Marisol make a sky without blue paint? After gazing out the bus window and watching from her porch as day turns into night, she closes her eyes and starts to dream. In this empowering new picture book, Peter H. Reynolds explores the many ways that a single voice can make a difference. Each of us, each and every day, have the chance to say something: with our actions, our words, and our voices. Perfect for kid activists everywhere, this timely story reminds readers of the undeniable importance and power of their voice. There are so many ways to tell the world who you are... what you are thinking... and what you believe. And how you'll make it better. The time is now: SAY SOMETHING! About: In this extraordinary new tale from Peter H. Reynolds, Jerome discovers the magic of the words all around him -- short and sweet words, two-syllable treats, and multi-syllable words that sound like little songs. Words that connect, transform, and empower. The Word Collectors: Join other Word Collectors across the country who are using the power of words to change the world. Visit The Word Collectors to share your story. About: A sweet fable dedicated to Rose Fitzgerald Kennedy that celebrates the spirit of community, the beauty of nature, and the power of faith and imagination. After traveling the world in her fantastic teapot, Rose is ready to put down roots. She sets about planting flower seeds in a neglected corner of a bustling city. And then she waits - through rain and cold and snow. Rose waits, never doubting that the garden she envisions will one day come to be. With a simple narration and lovely, fanciful illustrations, this luminous picture book resonates with readers of all ages. Author-illustrator Peter H. Reynolds dedicates it to the matriarch of the Kennedy family - herself the namesake of the Rose Kennedy Greenway, a series of gardens, plazas, and tree-lined promenades. About: Sydney and Simon are twin mice on a mission. They want to enter their flowers in the neighborhood flower show, but the flowers in the window box are wilting in the city heat, and the window is jammed. How are they going to get water to their blossoms so they'll live and flourish in time for the show? Sydney and Simon are lucky to be growing up in a curious and creative family and are encouraged to ask questions, experiment, and record their findings through writing, art, music, and video. Their mother is a scientist and their father is a poet. Their family motto is: "When the going gets tough, the creative get going." Utilizing the S.T.E.A.M. (Science, Technology, Engineering, Arts, and Math) philosophy of learning, this brightly illustrated story shows how an interdisciplinary studies model helps Sydney and Simon achieve their goals. In a practical, fun, and hands-on way, young readers will be inspired to interact with their own natural learning skills and start experiencing the world-and their education-in a whole new way. 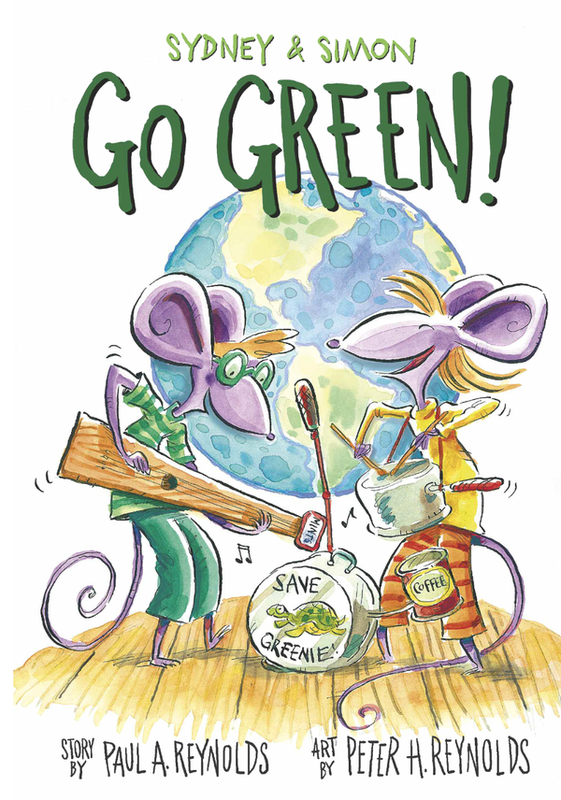 Sydney and Simon: Go Green! About: During a class field trip to the Aquarium, Sydney is upset when she realizes that a green sea turtle has been harmed by garbage that made its way to the ocean. She must convince Simon that even if others don’t intend to litter, the garbage everyone puts in a trashcan may accidentally get swept into sewers, streams, rivers, and possibly end up in the ocean. sydney and simon: To the moon! About: The chance to meet astronaut Kris Kornﬁeld is a dream come true for twins Sydney and Simon. But ﬁrst they have to come up with the most creative project about the Earth’s moon. While Sydney’s work is all about the art, and Simon’s is all about the data, neither seems creative enough to win the prize. But when they put their heads together, they incorporate S.T.E.A.M. thinking and come up with a winning idea. The third installment in the Sydney & Simon series, this kid-friendly story makes science concepts accessible and exciting. Acclaimed author Susan Verde and award-winning author/illustrator Peter H. Reynolds have come together to tell this moving story. As a child in Burkina Faso, Georgie and the other girls in her village had to walk for miles each day to collect water. This vibrant, engaging picture book sheds light on this struggle that continues all over the world today, instilling hope for a future when all children will have access to clean drinking water. Resources: The Georgie Badiel Foundation encourages educators and community leaders to incorporate Georgie’s life story, The Water Princess, to engage, educate, and inspire students to become global citizens and join our mission. For more information about service-learning projects and fundraising campaigns, please contact Katherine Moran Villone, Director of Education at The Georgie Badiel Foundation: kathy@georgiebadielfoundation.org. About: Ask yourself where it is you want to go. . . It is often said that life is a journey, and it’s true. But sometimes it’s hard to know which path to follow, when signs point in so many directions. 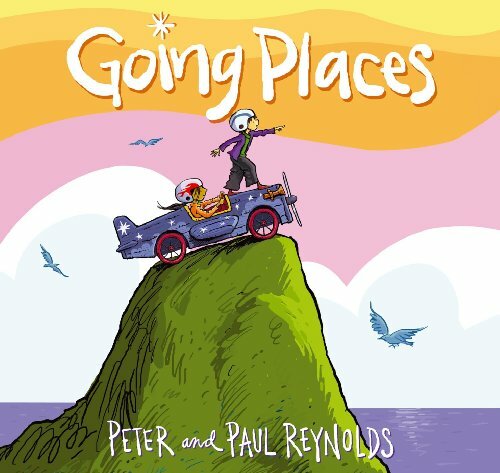 In this beautifully illustrated book, Peter H. Reynolds once again encourages readers to observe, to wonder, and to consider diverging from the well-worn path—to pursue their dreams. Originally published ten years ago, The North Star has had a profound effect on its many readers. This edition, featuring all-new art, celebrates the book’s own decade-long voyage connecting people around the world. 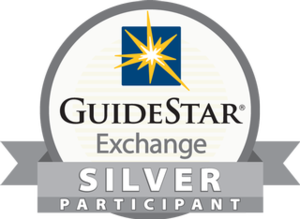 It has inspired classroom activities, a musical, and thousands more thoughtful journeys. About: While the world tells us to sit still, to follow the rules, and to color inside the lines, Happy Dreamer celebrates all those moments in between when the mind and spirit soar and we are free to become our own true dreamer maximus! In Peter's signature voice and style, this empowering picture book reminds children of how much their dreams matter, and while life will have ups and downs, he enlists readers to stay true to who they are, to tap into their most creative inner selves, and to never ever forget to dream big!